Technical Institution in relevant trade. Pay Scale:Rs.5910-20200 + 1900 Grade Pay plus usual allowances as admissible from time to time. Other Qualification:Should have a certificate from I.T.I. or any other Govt. Recognized Technical Institution in relevant trade. How To Apply: 1. The candidate should apply through online in respective trade of Helper on the prescribed format available on the website i.e. www.chdctu.gov.in. One candidate should submit one application only. Candidate must give his mobile number and e-mail address in the application format for further communication.The candidates should download the admit cards for written test from the official website when the candidate will be asked to do so. No separate call letter will be sent.2. The detailed guidelines for applying online application, deposit of fee etc. are available on the official website www.chdctu.gov.in. The application fee can be deposited in any branch of State Bank of India (SBI).3. 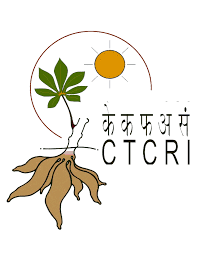 Online submission/registration of application form on the website www.chdctu.gov.in will start on 11.07.2014 and close on 11.08.2014 at 5:00 P.M. for all purposes. The candidate should register his/her name one day before the closing date and submit the detail of fee deposited on or before the above closing date and time to avoid rejection of application.4. Incase of incomplete application or incomplete information, the application will be rejected straightway without assigning any reason. No off line application will be entertained.